Press Room » FSCJ Artist Series presents the 19th Annual Camp Broadway! 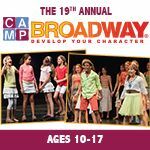 The 18th Annual Camp Broadway® program returns to Jacksonville from June 10-14 at the Nathan H. Wilson Center for the Arts! Camp Broadway®, presented by the FSCJ Artist Series, returns to Jacksonville for its 19th year from Monday, June 10 – Friday, June 14, 2019 from 8:30 a.m. – 5 p.m. at the FSCJ Nathan H. Wilson Center for the Arts on Florida State College at Jacksonville’s South Campus. Camp Broadway® introduces young people to the world of life on-stage and behind the scenes. Campers work with Broadway directors, choreographers, and musical directors to receive training in acting, scene study, improvisation, music theory, solo and ensemble singing, movement, and dance. This five-day performing arts program offers each camper the opportunity to expand his or her creative talents, build self-esteem, learn the art of collaboration, and gain a fuller respect and understanding of musical theatre. Camp Broadway® has been proclaimed the “Camp of Dreams” for starry-eyed kids who are just beginning to dream of being on Broadway. It is a self-contained summer workshop that travels around the country bringing Broadway to kids. The 40 hours of camp include singing, dancing and master classes for kids ages 10 to 17. No singing, dancing or acting experience necessary - just a willingness to have fun and a curiosity about what happens on stage and behind the curtain. Applications are being accepted digitally for Camp Broadway®, and tuition is $575 per camper and includes daily lunch, snacks and two t-shirts. Spaces are limited and Camp Broadway® fills up quickly, so register your camper today! Visit bit.ly/CBJax19 or contact Amanda Scott at (904) 357-8934 or email amanda.scott@fscjartistseries.org for more details. With authentic Broadway instructors teaching dance routines and musical numbers at the same break-neck speed as a real Broadway show, Camp Broadway® is a fun-filled week of activities designed to teach kids about the serious business of live theater. One activity is our annual Salute to Singin' and Dancin' Kids™ (a special luncheon where campers meet and hear about the various theater jobs from real theater professionals). 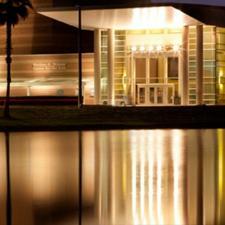 Camp Broadway® -The National Tour is offered once a year in Jacksonville. 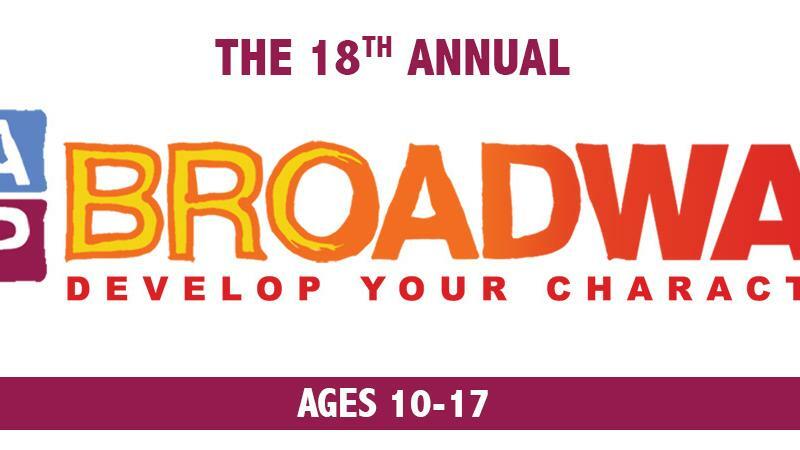 Founded in 1995, Camp Broadway® is Broadway's Original Summer Program for theatre-loving kids. Since then, Camp Broadway LLC has worked at the intersection of entertainment and education to become the industry leader in theatre arts youth programming, special events and educational publishing. The company serves the Broadway industry by being an authorized channel for families, schools and social organizations who believe in the essential value of the arts as a means of life-long learning. Proclaimed “The Camp of Dreams” by Live Magazine, Camp Broadway has hosted nearly 20,000 children from all 50 states and dozens of countries at its annual summer programs leading with its flagship programming New York City, as well as cities such as Atlanta, Buffalo, Jacksonville, Providence, Tempe, and elsewhere in America. Camp Broadway has also been featured regularly on the Macy's Thanksgiving Day Parade® telecast; performed with the New York Pops at Carnegie Hall; and appeared in Broadway on Broadway®, an annual free concert in Times Square.